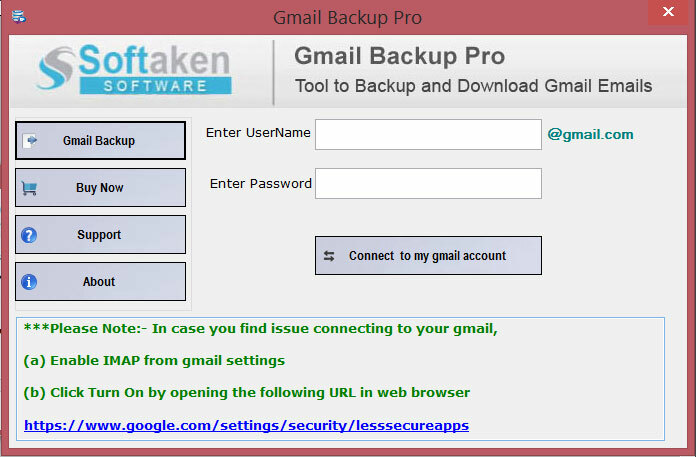 Want to take backup of Gmail account and import into different email clients? Use Gmail backup software which is a perfect solution to export mailbox items from Gmail account. By using Gmail backup tool, you can not only take backup of Gmail data, you can also save into PST, EML, MSG and MBOX format for accessing emails in different email clients such as Windows live mail, entourage, spicebird, Thunderbird, MS Outlook, Outlook Express, apple mail, mac mail and more. Gmail backup software maintain integrity of your Gmail emails formatting and export each and every data from Gmail. For product evaluation, you can use free version of Gmail Backup tool. Demo version will export 10 items of each folder into PST, EML, MSG, MBOX format. For unlimited backup, you need to purchase full version of Gmail backup tool. Windows Mail Saver allows you to backup and restore any components of Windows Mail browser: email messages with attachments, contacts, mail and news accounts, user signatures, program settings, Internet favorite links and RSS feeds. Recovery for Works Spreadsheet repairs corrupted Works spreadsheets (.xlr). Supported Works versions: 7.x, 6.x, 5.x. The recovered data is saved into a new Works spreadsheet.